We’d love your help. Let us know what’s wrong with this preview of Wishing Well by Phillipa Nefri Clark. Three generations in one small apartment. Three wishes. When one wish tears them apart, will old secrets be too much to bear? To ask other readers questions about Wishing Well, please sign up. 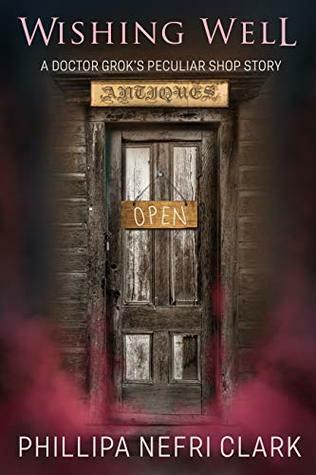 If you have a few min This is the third story in the Doctor Grok series and another quick read that is sure to leave you smiling, when Doctor Grok shows up in his little Antique store he is sure to bring happiness. "Wishing Well: A short paranormal suspense (Doctor Grok's Peculiar Shop Book 3)" by Phillipa Nefri Clark is part of a series but can be a read alone. I do suggest the series as it deals with the lives of three generations of women living together. The grandmother goes out to buy a well. Both her daughter and granddaughter thinks it is a waste of money but calling it a wishing well brings us into the story. Really great short read. Wishing Well: A Doctor Grok’s Peculiar Shop Story but Phillipa Nefri Clark is a tale about three generations living together. The Grandmother wanders out one day an buys a wishing well. The daughter thinks it is a waste of money and the granddaughter spends days working out what she will wish for. A great moral to the story. I am loving this short story series. Please consider writing a full length horror novel...you'd find a large audience waiting! This is an emotional story packed in a small package! A powerful tale. I like author Phillipa Clark's writing style.